I took some time to install and do the quick check on Magento 1.5.0.0-alpha1. There was one thing that is impossible to miss: Improved order statuses. No more configuration files! That’s cool. Everything is stored in database now. Users are able to create their own statuses and assign those statuses to some predefined order state. They can choose if they want it to be default status which is also cool. That one is straightforward too. Once status is assigned to the state, we can unassign it, set it as default status and similar magic. Seems cool right? Well… is it? Personaly, I expected more. 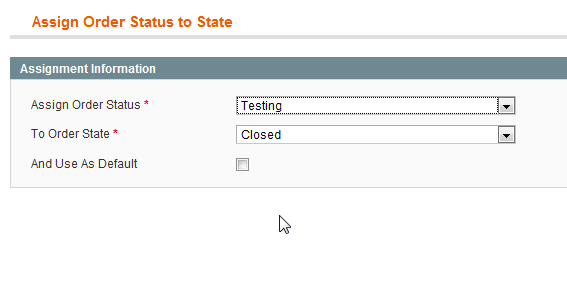 Having possibility to add custom state label is not something that saves me a lot of work. Editing xml file or two doesn’t make much difference since this is not something you need to do over and over. I would be much more impressed if I saw custom order states. I mean who came to idea to call “status” something that is actually “real status” label? admin panel instead of writing those to xml is not really something I couldn’t wait, but it is nice to see some coding begun to happen around those statuses. I not understand where you can change a orderstate to your own. When i look at a order i see only processing in the pulldown but why can’t i change it to “waiting for your payment”. Let’s ask it short, where can i use the custom order statussen? I agree – this update to status just makes everything more confusing. 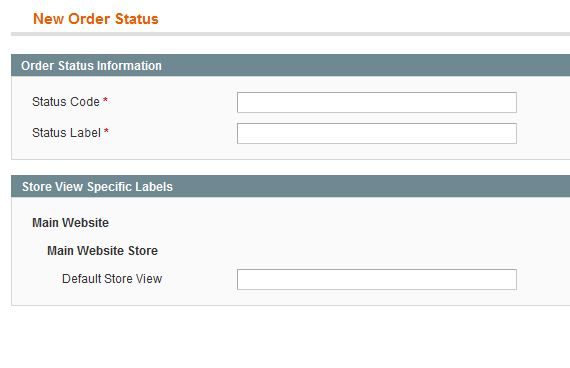 Worst part of Magento is how they rigidly connect orderstatus to workflow. A truly flexible system should be able to have a minimum of 2 statuses, (like open and closed) or maybe 1000. Order status should just be another attribute of the order. if the store owner wants to trigger something upon the change of status, it would be nice to see an interface for this. Why must I make an invoice before shipment, and thus not be able to make an order ‘complete’ without one? why can’t i just arbitrarily make an order any status? what is the business case for this sloppy state-status setup? other carts don’t complicate themselves in this way…. What we really miss is the ability to filter the sales -> order page only to show pending orders (ie hide completed and cancelled orders).